It is a well-known fact that permanent hearing loss can result from listening to loud music for prolonged periods of time. With the advent of portable music players, earbuds/headphones, and long-lasting battery life, people are losing their hearing at younger and younger ages compared to prior generations. The louder the music, the higher risk of hearing loss. The longer you listen to loud music, the higher the risk of hearing loss. As a general rule of thumb, never listen to music with headphones/earbuds for longer than 60 minutes at a volume setting that is 60% of maximum... the 60/60 rule. If the volume is set to a lower level, music can be listened to for a longer period of time safely. I can't take credit for this rule... not sure where I heard it from unfortunately, but based on a google search, this rule has been known for quite awhile. Keep in mind that most youth listen to music loudly to overcome surrounding noises (same reason why a person has to raise their voice in a loud restaurant in order to be understood). 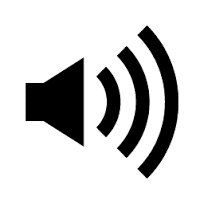 By allowing music to be played in a QUIET environment, the volume would not have to be set as loud. If a quiet environment is not possible, it may be worthwhile to invest in some noise cancellation headphones which would reduce/eliminate all sounds other than the music itself.